Dennis Whitley, III, a life-long resident of Prince George’s County, Maryland, graduated from Rutgers School of Law, Newark, New Jersey in 1996, and is admitted to practice before the State and Federal Courts in the District of Columbia and the State of Maryland. Mr. Whitley focuses his practice in the area of general civil and appellate litigation, administrative law, land use and zoning. He represents clients in complex administrative and constitutional matters relating to zoning violations, administrative appeals, landlord and tenant, breach of contract and personal injury matters, appearing regularly before state trial and appellate courts and administrative tribunals. Mr. Whitley’s extensive litigation experience includes being the sole or lead attorney handling jury and bench trials in both District and Circuit Courts throughout the State. He has also successfully participated in dozens of appeals in the Maryland appellate courts, appearing before both the Court of Appeals and the Court of Special Appeals. Mr. Whitley is also involved in professional, civic and community activities in Prince George’s County and the State. He has served as a court-appointed trustee in the Circuit Court for Prince George’s County and as a mediator in the District Court for Prince George’s County. He is an appointed member of the Maryland Attorney Grievance Commission and serves on the Board of Directors for the Maryland Assembly for School-Based Healthcare, Inc. Mr. Whitley is also an active member of the Laurel community, currently serving as a member of the City of Laurel’s Greenbuild and Moderately Priced Dwelling Task Force. He is also previous member of the Board of Directors for the Ashford Homeowners’ Association and a current member of the Wellington Architectural Review Committee. 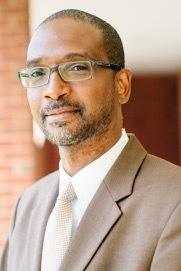 Mr. Whitley is an active member of the Maryland State Bar Association, the Prince George’s County Bar Association and the J. Franklyn Bourne Bar Association.